Vodafone’s new group CEO has vowed to keep shareholders happy by continuing to pay out dividends in his first earnings conference, despite reporting a €7.8bn loss and falling revenue. Former bean-counter Nick Read, a certified chartered accountant, officially took over from Vittorio Colao on 1 October, and has pledged to take €8bn of costs out of the business. 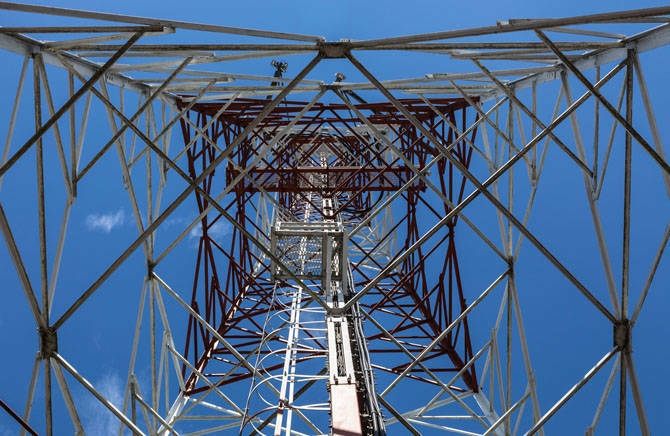 Vodafone confirmed it is reviewing its physical tower assets with a view to “creating a virtual tower company”. Network sharing would lower the cost and perhaps accelerate the deployment of 5G, which requires many more sites. A report from Italy describes one such option being explored. Overall, group revenue for the six months to 30 September was down 5.5 per cent to €21.79bn, from €23bn for the same period last year. Vodafone Business grew 1 per cent and service revenue increased. The group pointed to the sunny uplands – more organic growth, and a slightly higher future cash flow (PDF). The losses reflect a €3.6bn impairment charge on its Romanian business, and a €3.4bn loss on Indian operations. For the UK, Vodafone said it had a slight net service revenue increase, excluding the negative effect of handset financing, although mobile service revenue declined slightly. Vodafone is phasing out its budget TalkMobile brand, but promoting an MVNO aimed at Der Youth. VOXI bundles social media data usage in for free, and has an age limit for new subscribers: if you’re over 30, you get shunted off to Vodafone proper. Analysts noted that Read won’t break the bank to surge on 5G, with the new boss talking about taking a “co-lead” on deployment, “no faster and no slower than the fastest player in the market”.